Isla Vista Recreation and Park District elected a new director in the Board of Directors, and the government body continued to discuss the future of the Isla Vista Community Center. Yesterday’s meeting filled the vacant Director’s seat, originally held by Leif Dreizler, by appointing fifth-year environmental studies major Michael Aristizabal to the position. Aristizabal, who was elected unanimously by the IVRPD Board’s four current members, will serve until the 2014 General Election. IVRPD oversees the maintenance and development of I.V.’s public parks, and it is responsible for bringing the community’s total number of local parks to 25. With their office located at 961 Embarcadero Del Mar, IVRPD was founded in October 1972 and includes only Isla Vista residents. In taking on the new position, Aristizabal said he seeks to take an environmentally conscious approach to improve park safety, even when resolving long-term issues likes poor street lighting. According to Aristizabal, Santa Barbara is very much an outdoor community and nine of IVRPD’s 25 parks are facing the ocean. However, he said beaches are oftentimes vacant and so he hopes to create more park events that will draw in the community and bring local residents together. The Board also addressed the future of the Isla Vista Community Center, according to IVRPD General Manager Rodney Gould. He said the community center’s fate lies largely with the State Finance Department, who will decide if public officials can hold onto the property and go through with development of a center. 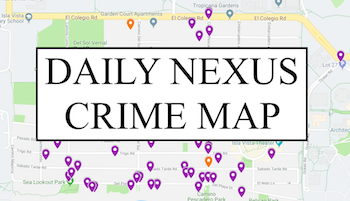 According to Gould, Isla Vista is one of only four places in Santa Barbara County that has been designated as a low-income area, based on the average income of local residents. With such a demographic makeup, the Community Center holds a strong importance for gathering of the community and discussion of local issues, according to Gould. Carmen Lodise, a former Board member from 1976-80, is also an Isla Vista activist for over 30 years now and author of Isla Vista: A Citizen’s History. Lodise supports the efforts made to have the two buildings — one being the Isla Vista Neighborhood Clinic and the other being an abandoned church that previously housed the original Bank of America building — turned over from state to county hands. According to Lodise, the information sent to the State Finance Department this past October, from the county staff’s written document of the public forum, was inaccurate. Lodise said the document failed to include opinions of people who contributed information during the forum, although the decision will ultimately depend on the state. “There were a lot of people who showed up to the public hearing that provided information that did not get into the report that was sent to the State Finance Department, which is very disturbing,” Lodise said. Pegeen Soutar, board member of the IVRPD, said he is concerned the State Finance Department might not be aware of the importance of a designated Community Center for the diverse community of Isla Vista. Soutar said bringing together students, families and children in such a space would provide I.V. residents with the same rights enjoyed by cities across the country. 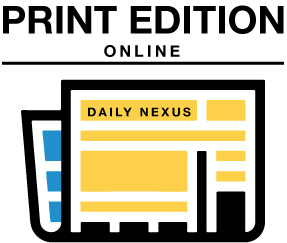 A version of this article appeared on page 1 of November 26th’s print edition of the Daily Nexus.